A 5-Day Search for the Truth: Should Virginia’s Spread-Covering Shot vs. Duke Have Counted? 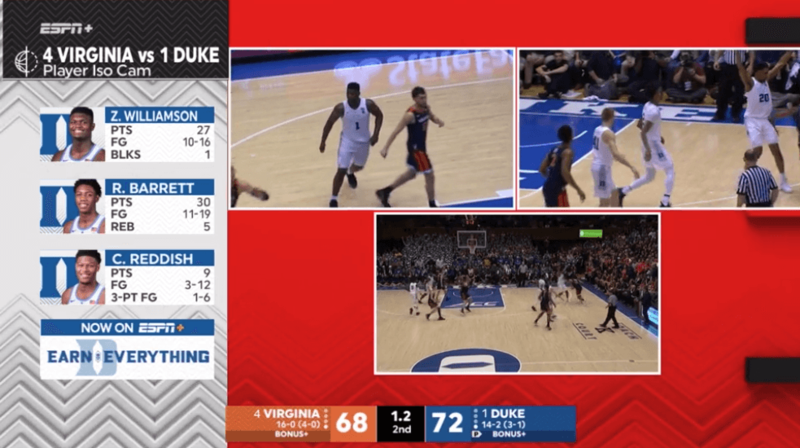 On Saturday, De'Andre Hunter hit a buzzer-beater at the end of the Virginia-Duke college basketball game that swung spread bets (this line was Duke -3.5/4 and the Blue Devils won by two). But after careful investigation, we have reason to believe the spread-swinging shot MAYBE should not have counted. Let me start by saying I did NOT lose money on De’Andre Hunter’s “buzzer-beater” at the end of the Virginia-Duke game on Saturday night like many bettors holding Duke -3.5/4 tickets did. I was, however, running the @ActionNetworkHQ social handle during the game and rushed to post the clip on Twitter when it happened. After thinking the shot was close to being late in real time and reading the reply, I went frame-by-frame and noticed that our friend rflippp might have been right. I posted a slowed down version of the video on Twitter asking if the shot was actually taken in time. I headed to our internal College Basketball Slack channel to confront my newfound enemy…. Haha. I’m serious here though dude… we never see the light when it is off, meaning it turns on before the light enters the picture… the ball is in his hands that whole time and looks like its still touching his fingertips when we DO see the clock. Not one Action employee chimed in. I couldn’t believe it. I needed a definitive angle but there was nothing to be done. The broadcast didn’t show a replay of the inconsequential shot. I got back to work — and by work I mean harassing Darren Rovell as much as possible — for the next 3 days. I realized I owed it to myself — but more importantly, the thousands of bettors affected, to give this play one last look. In a last-ditch effort, I pulled up WatchESPN’s archives to see if any of their alternate broadcasts were in the library and it turned out that they had archived their Iso-Cam Broadcast. What do you think? Would Hunter’s shot have counted if this shot had won the game for Virginia?